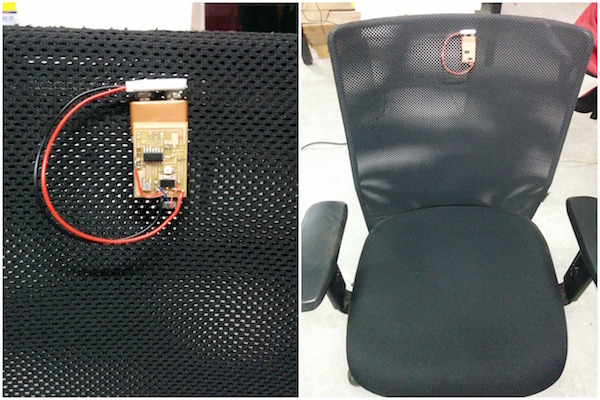 Attach this to your chair to provide a haptic feedback response when you've been sitting continuously for 10 minutes. 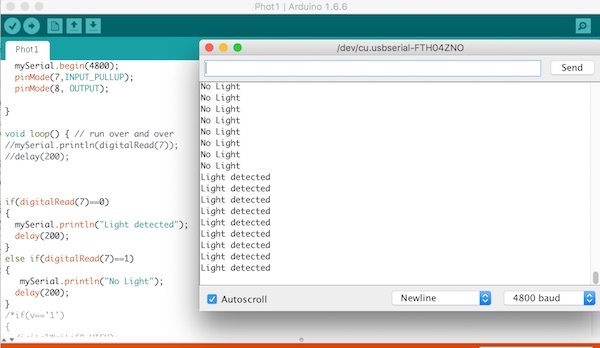 The idea for this Arduino phototransistor project came to me based on an idea that was shared by one of my friends at the FabLab. He talked about how his lab only has stools for people to sit on. Being very uncomfortable, the person succumbs to the discomfort and stands up to move around. In our case, we had very comfortable rolling chairs for sitting and reclining, which can get you lazy and even sleepy real quick. 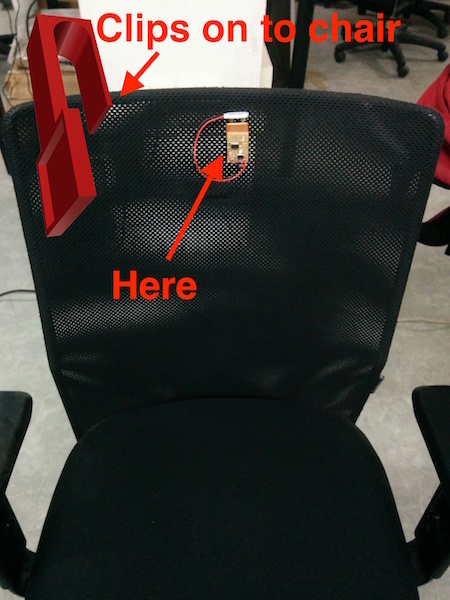 In this project, I wanted to solve that problem by creating a sleek gadget which when plugged into our chairs, will prompt the user to get up if they are sitting continuously for more than 10 mins. It does this by using a haptic feedback motor, and it will only notify the person sitting on the chair, instead of disturbing others around him (if I were to use other means like sounds/lights). 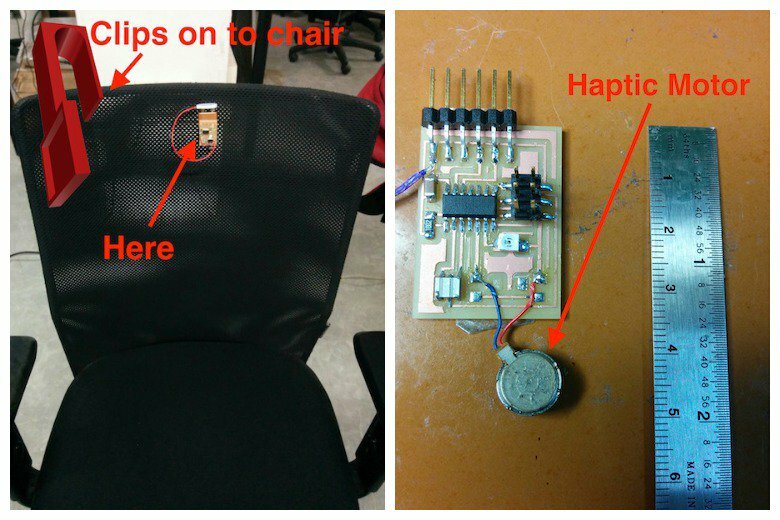 The NPN phototransistor signals the ATtiny44 when there is no light (this is the case when a person is sitting on the chair). After which the controller starts a timer. 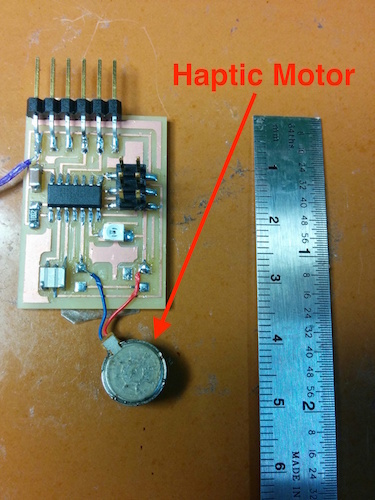 If the timer exceeds 10 minutes, then it immediately activates the haptic motor, which prompts the user to get up. I started off by using my HelloWorld board milled from the Modella and de soldering the button from it. 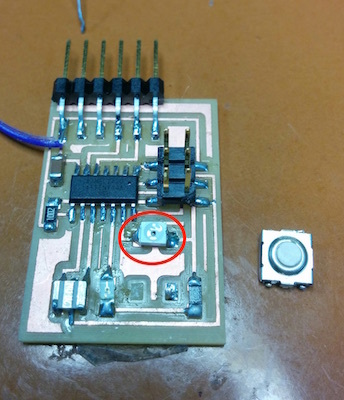 I then attached the phototransistor to ATtiny pin no: 7. I found out that the notch in the package of the phototransistor represents the collector terminal. I learned this from the VEMT3700F NPN Transistor datasheet (PDF). 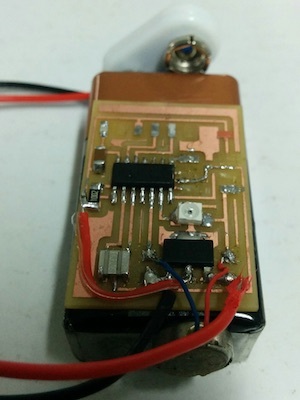 Another resource worth checking out is the TT Electronics Optek Technology resource guide. 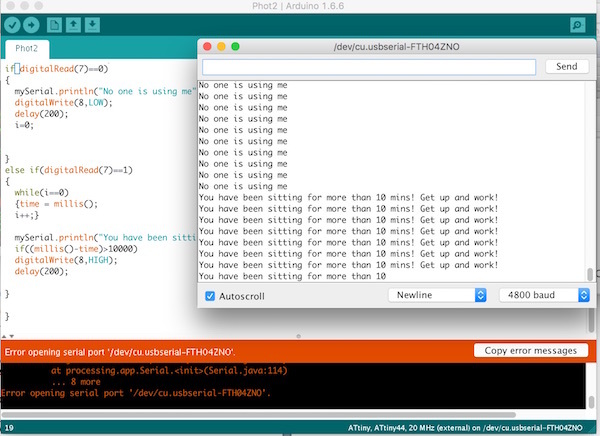 You can also just use an Arduino board and connect the phototransistor to the Arduino's digital pin 7 and use the same code shown below. 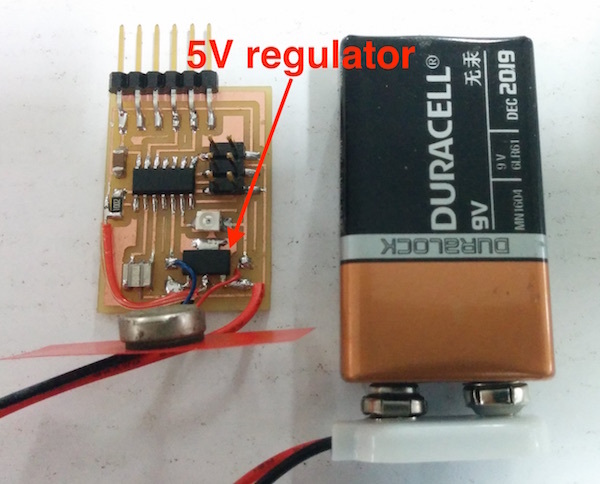 Next, I used a salvaged phone haptic motor to connect it to pin ATtiny pin no 5 (Arduino pin 8) and tested the motor by powering it up when there is no light and turning it off when there is. A video of the LazyMax 100 in action! 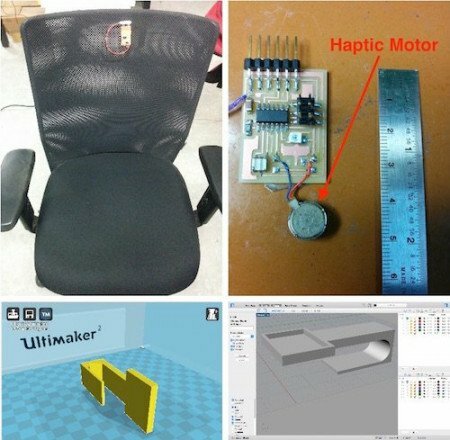 After I sorted out the electronics and programming part, I then moved on to designing the casing for the board that could be clipped on to the chair. 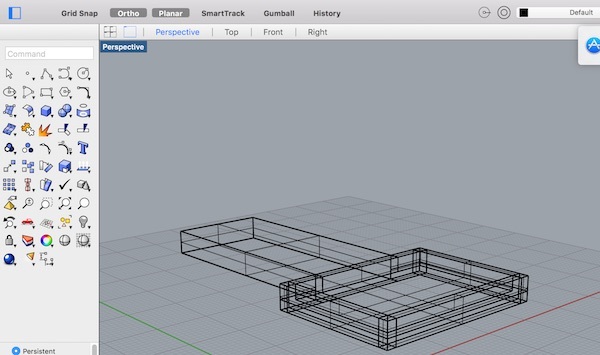 I used Rhino to design this. 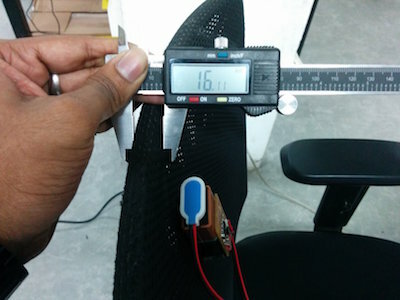 I started off by measuring the diameter of the chair’s edge (14.15mm), then the dimensions of the board (33x23.5mm). 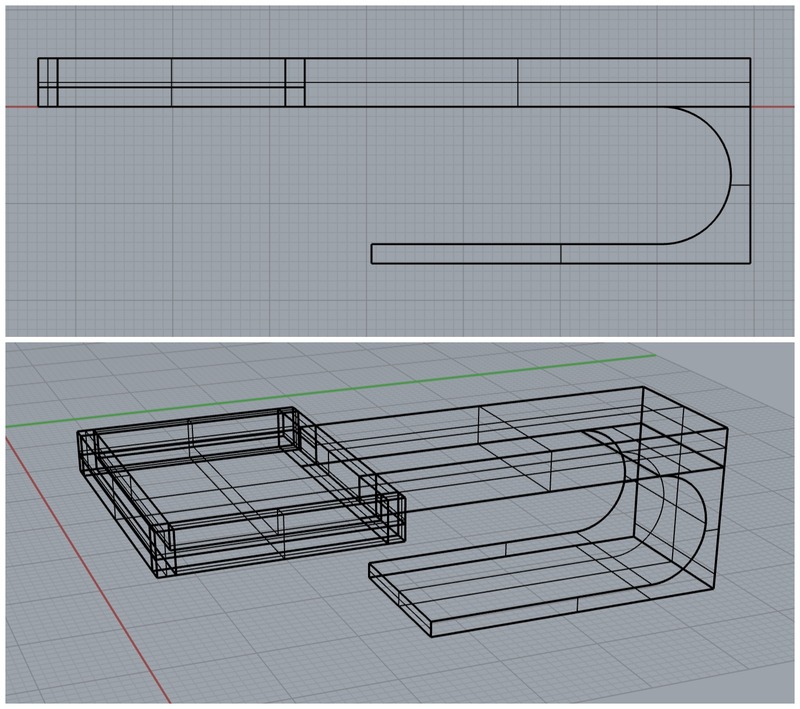 Based on these, I started designing the case using polylines. Later, I converted the closed curves into a surface from 3,4 pts function and then extruded it to a height of 5mm. 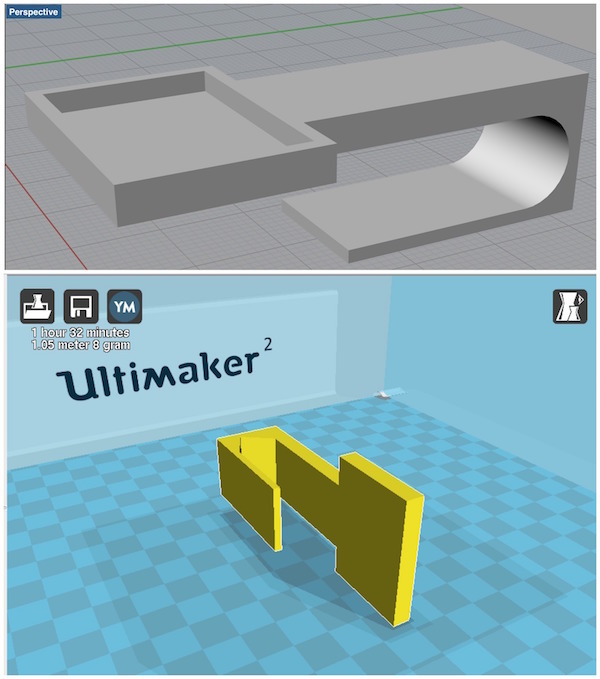 Next, I printing the exported .stl file using Cura on the Ultimaker.